This morning, I gave you the heads up on some of my very favourite Yorkshire venues, and I’m swinging by this afternoon with a special treat for one lucky couple from my friends at Dine At The Mansion. I work really closely with award winning event caterers and venue managers Dine at their venues (check out our fantastic exhibition schedule here) and so I’m really proud to help them unveil their beautifully refurbished Garden Room Restaurant at this iconic Leeds venue with this special competition. 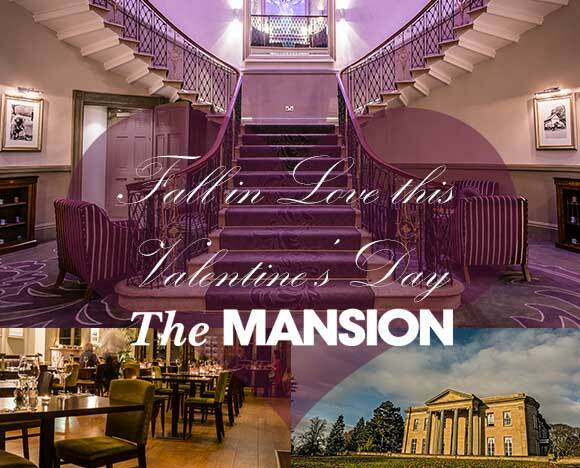 My friends at Dine would love you to join them to celebrate St Valentine’s Day with dinner for two at The Mansion, their beautiful wedding venue in the heart of Roundhay Park. For one lucky couple, the evening is on them – just like the Dine Facebook page & share their Valentine’s Competition image for your chance to win. Click here to like, share and win. Competition closes at midnight on 09/02/15. No cash alternative. Prize includes dinner for two from set menu. Prize does not include drinks. Dine At The Mansion Ltd’s decision is final. Winner to be notified via Facebook by Dine At The Mansion Ltd.